Roasting at Lezzato is an art with a little science. Our roasting style aims to present our coffees with crystal-clear origin characteristics paired with a high level of drinkability. All green coffee beans are unique and require special attention to coax out its inherent origin flavours and to harmonize its levels of sweetness and acidity. 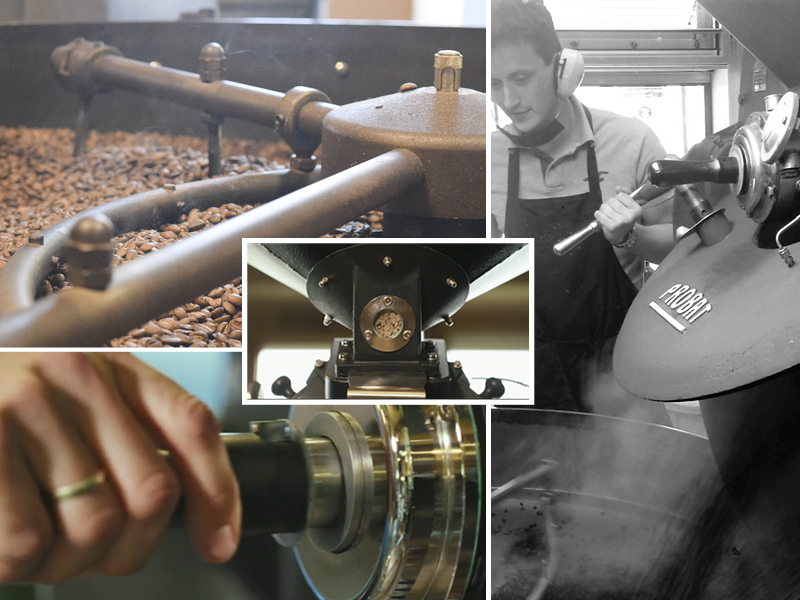 We utilize a non-continuous rotating drum roaster made by Probat. Each coffee is slowly roasted in small batches to order, allowing for an intense focus on the quality and consistency of the product. This method of roasting takes the beans to their limit and produce a well-balanced coffee in terms of its body, aroma and taste.